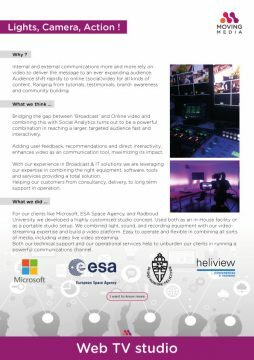 Moving from Linear to online TV production requires a completely different technological approach, especially when broadcasting Live from a web TV studio. Our experience and expertise has led to a compact, innovative and advanced solution, for any Digital Broadcaster. Small, Media, Large !